"Having served as a chief minister in the past, I am very much aware of the importance of actively consulting the states. NITI Aayog does precisely that," Prime Minister Narendra Modi had said immediately after the formation of the policy think tank in 2015. It was set up to replace the decade-old Planning Commission. Modi had then said that unlike the Planning Commission, the NITI Aayog would not follow the 'one size fits all' approach. "Through NITI Aayog, we bid farewell to a 'one size fits all' approach towards development. The body celebrates India's diversity and plurality," he said. The inception of NITI Aayog was a strategic decision by the Narendra Modi government. Its aim was to replace the idea of development planning from public perception. However, it is not simple to do that since it is meant to cater to the needs of those people who are either unable to seize opportunities or are excluded by the market. The idea of development planning was first discussed in the country in the 1931 Karachi session of the Indian National Congress before Independence. It was initiated as part of the Freedom movement and to see the future of India from a development perspective. Indian development planning entered a new facet with the Five-Year Plans in 1950 under the Planning Commission, a separate entity. That continued till 2014. 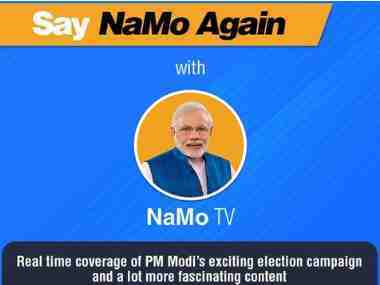 The first decision of the newly-elected Modi government was to scrap the Planning Commission and replace it with a new agency, the National Institution for Transforming India (NITI Aayog) with considerably less power and resources. It is true that the planning process had failed to deliver justice to the population; however, the idea of planned development is essential for the poor and needy. Even Jawaharlal Nehru was not happy with the planning process to a great extent. Reforms were inevitable, however, not at the cost of scrapping of the Planning Commission. The new entity completely disowns the history and purpose of development planning in the country. Since its formation, NITI Aayog has come up with a number of proposals and policy framework to transform the country. However, all those suggestions depend on private initiatives. Unlike the Planning Commission, NITI Aayog proposes many methods of letting the private sector take over public policy responsibilities. To be specific, every intervention and policy document of NITI Aayog is aimed at Public Private Partnership (PPP) as its core strategy. PPP is an encompassing concept and needs to share both capital and responsibility. Putting all developmental projects including public infrastructure invites massive changes in the approach to development and primarily propagates the idea of prioritising development intervention. This is the context in which we should discuss the ‘Strategy for New India @ 75’ document. It proposes a set of ideas to transform India in 2022-23, i.e. at the 75th year of Independence. Of course, we need a strategic long-term vision and mission to achieve higher economic prospects for the country. The strategic document released by NITI Aayog begins with a statement that India needs a ‘development state’ that focuses sharply on the difficult and accountable delivery of key public goods and services. It looks sensitive and is the need of the hour, however, a close examination of suggestions and methods proposed in the report reveals that it fully relies on PPP and privatisation. It has been the strategy and vision of every government since 1991. Interestingly, the text of the plan is a continuation of another brief document prepared in 2014 for Prime Minister Modi. This report is still up in the NITI Aayog website--The Planning Era in India: A Retrospective. NITI Aayog has put in a lot of effort to prepare a critical note on India’s decade-long development plan and each session of the report ends with a critical note explaining how it failed. It has listed the causes that play spoilsport such as labour laws, restrictions on land acquisitions and government control of the agriculture market, labour and resources. The proposed strategy follows the same arguments and suggestions. All efforts have been on attaining double digit economic growth; the present strategy document also suggests an annual growth rate of 9 percent by 2022-23 to generate sufficient employment and development for all. It has listed out a comprehensive action plan and most important among them is the growth of Gross Fixed Capital Formation from the present 29 percent to 36 percent by 2022. 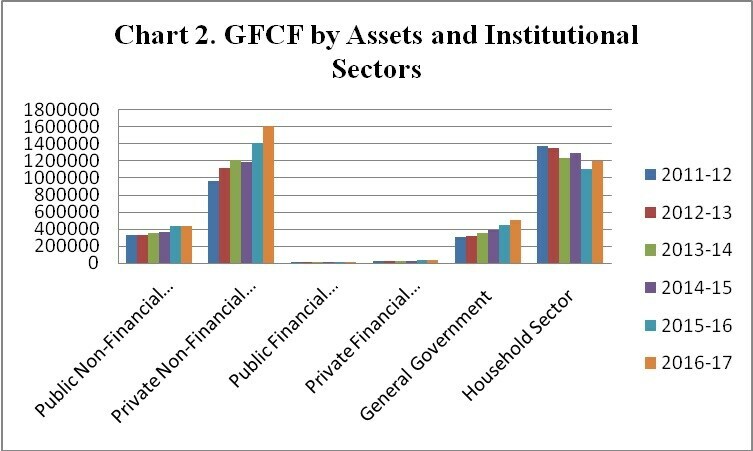 The report wants about half of GFCF from public investment. Chart 1 and 2 give a detailed account of India’s Gross Capital Formation over a period of time. Chart 1 shows which sector the capital is getting concentrated and chart 2 show the base of capital formation. So, the purpose of putting public capital upfront in this critical context is unrealistic, and apart from that Niti Aayog does not propose any plan or project for the government to intervene in the business of achieving higher growth rate. If NITI Aayog wants to push up public investment, it has to change its policies. It has to include more sector-oriented public investment plans, for instance, agriculture where capital formation is taking place unlike other sectors. Only government can invest here and it is true that public invesesment is also declining over a period of time. 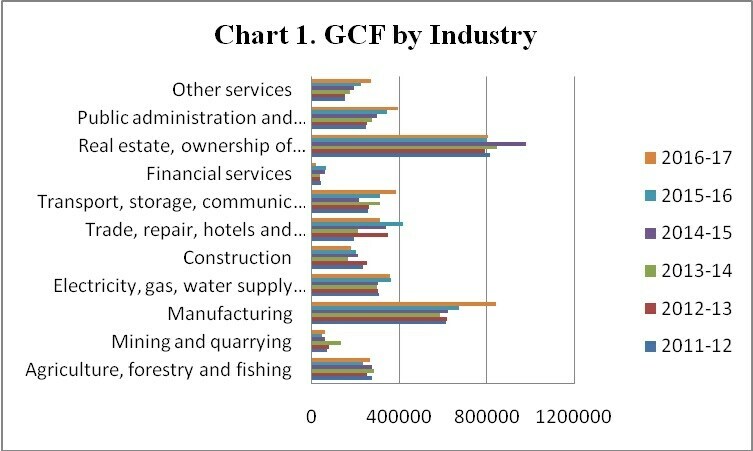 And it also proves that GFCF is concentrated in the private sector and household sector. 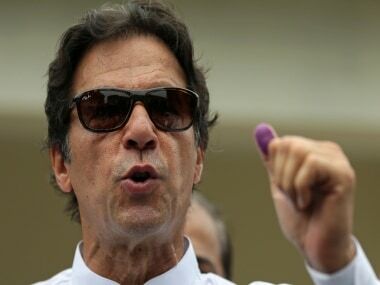 There must be an action plan to boost pubic capital formation if we want to achieve the expected growth; however, it is a known fact that such a massive investment plan by the government is not anybody’s agenda. Public invesment pertains to development project and plans. It could be a challenge when there is no planning taking place at the government level. Similarly, the GDP growth envisaged in the report is unrealistic. It wants to increase tax GDP ratio to 22 percent by 2022 from the current 17 percent. However, the report depends on demonetisation and GST as the sources. The ability of GST to increase tax, GDP, is yet to be proven since the final assessment on the impact of GST is still not assessed. NITI Aayog’s suggestion for the agriculture sector talks about business-oriented solutions. 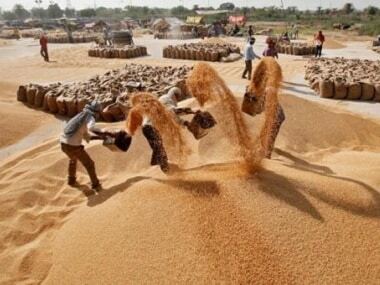 The sector is labour-oriented and hence suggestions by the policy think-tank such as skill enhancement, Aadhar-based payment delivery and transparency in labour inspection, etc may be difficult for a farmer to understand. It is not limited to only agriculture but for all other sectors too. NITI Aayog proposes administrative reforms and does not put forward any strategic and structural changes. In industry, its major proposals is to have single-window system for ease of business across the country and not to put forward any specific plan for small and medium-scale industries which are reeling under a crisis after demonetisation and GST. It is really surprising that a government agency can come up a stratgic suggestion without any proper and feasible action plan. Poverty and the poor get less reference in the report. It has referred to the poor in the context of Pradhan Manthri Awas Yojana housing scheme and Rashtriya Swasthya Bima Yojana—an insurance scheme with a healthcare cover of Rs 30,000 for a family of five members living below the poverty line. It proposes to continue the scheme with some financial provisions to meet outpatient expenditures. 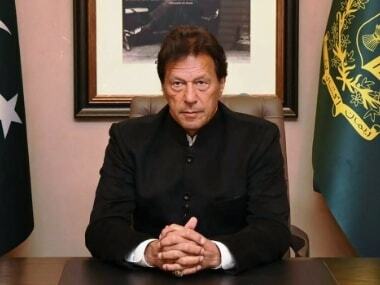 So, how can one trust such a strategic plan which talks only administrative reforms and endorses the government project without even proposing a critical evaluation to see the impact? It seems that NITI Aayog has lost its direction and is limited to a simple consulting firm which is not needed for an economy like India.